Point and click adventures are a staple in video games. They have been around for ages, and have always been successful to varying degrees. TSIOQUE isn’t an exception to the rule, as this game employs some cunning tricks to stand out among the crowd. TSIOQUE follows the adventure of the titular princess Tsioque, who lives a peaceful life in the castle with her mother, the queen. One day, the terrible Phoenix threatens the kingdom and Tsioque’s mother decides to journey away to slay the creature before it can destroy everything. 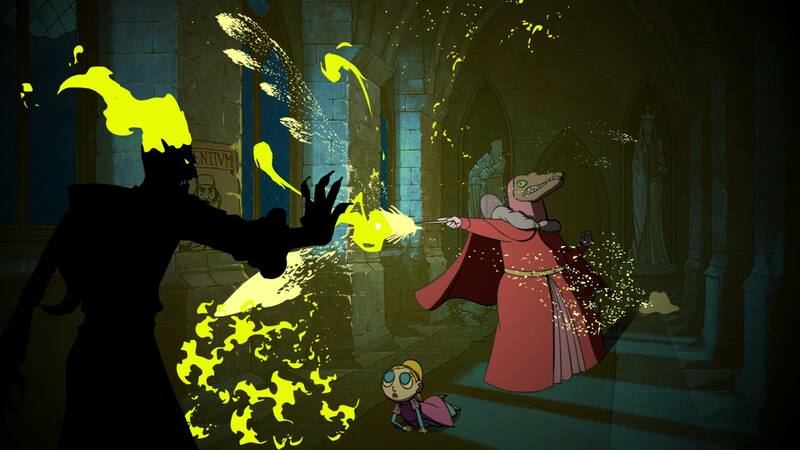 In her absence, the evil royal wizard takes the opportunity to seize power and transform the castle, turning its guards into demons to do his bidding. Tsioque is promptly thrown into the dungeon, but the young princess isn’t one to be locked away and quickly she escapes her cell to thwart the wizard’s devious plan and warn her mother of the wizard’s plan. However, while this premise is deceptively simple, not all is as it seems in this world and the story comes to a surprising conclusion. Praise where it’s due, TSIOQUE truly shows plenty of dedication. 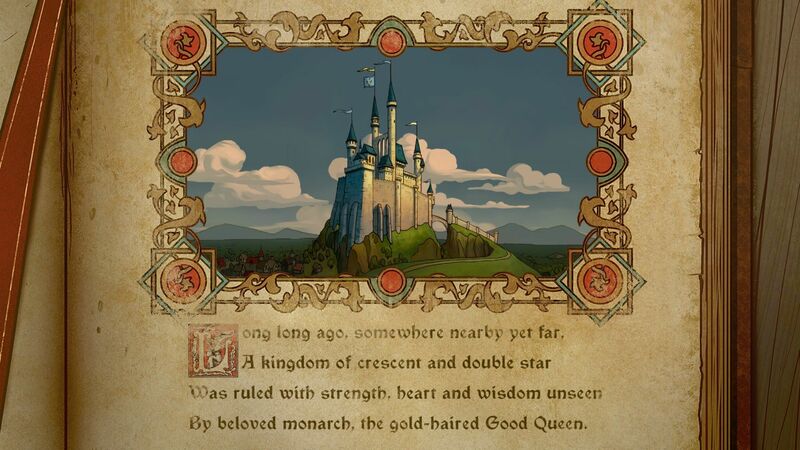 The entire game is animated in a pleasing 2D style, drawn completely by hand. Every background, character and cutscene has a unique touch to it and shows off the effort of the many artists who worked on this title. Tsioque herself ends up looking the most plain, as all the side characters come with fun, creative designs, not to mention the evil wizard himself looks like a villain straight out of a nineties morning cartoon. The animation flows well and isn’t choppy or crude, even in longer, more complicated cutscenes. The backgrounds too, are to be commended, as they look really nice and aren’t static at all. The soundtrack takes a bit of a backseat in TSIOQUE. It compliments the gameplay just fine, and especially in cutscenes it can be quite impressive, but overall none of the songs are especially memorable. The same goes for the sound effects. There is some excellent voice acting in the game though, especially the lines spoken by the evil wizard, as well as a narrator who only speaks in rhymes. 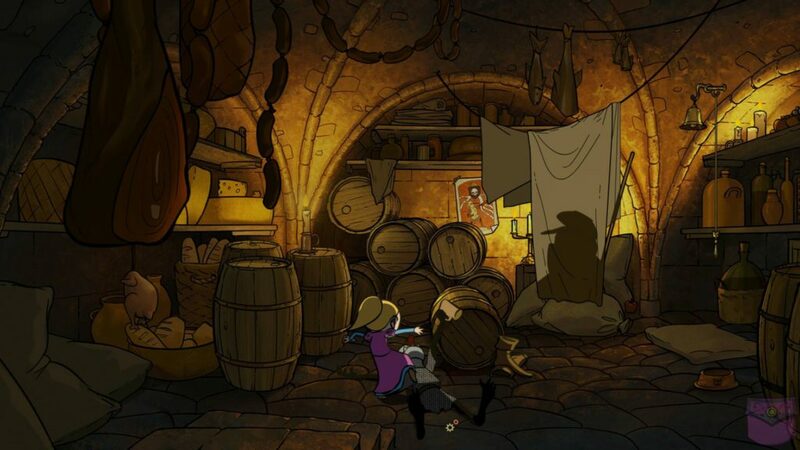 TSIOQUE is a point-and-click adventure game. This means most of the game consists of simple puzzles, where you have to gather items into your inventory and use them at the right time and place or in combination with other items. 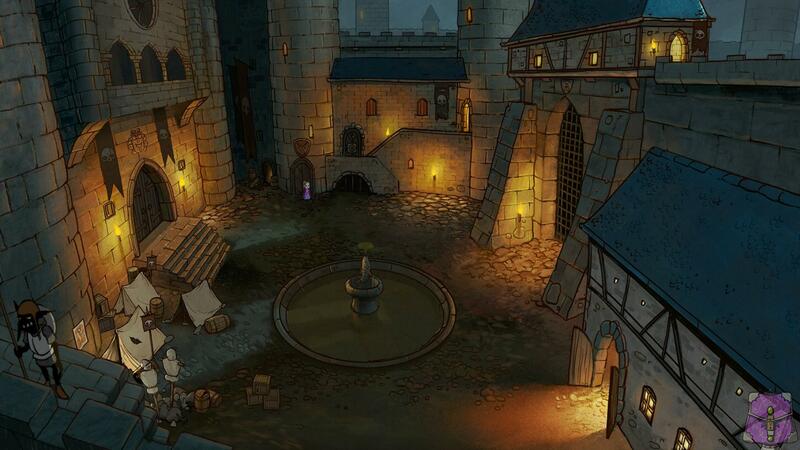 In doing this you slowly progress throughout the castle, unlocking new areas for Tsioque to explore. This also means there is a lot of genre-typical backtracking involved, which can get quite tedious. Clicking on items that aren’t inter-actable will often still give you a cute little background animatic. Sometimes more complicated puzzles will crop up, for which you have to gather multiple items or find a certain code. At other times the game will require you to do a certain action multiple times before yielding results. There’s plenty of ways to die in this game. Either by interacting with certain items, which will trigger a short cutscene of your death, or by not reacting fast enough. These timed puzzles and instant deaths are very forgiving though, as the game is littered with checkpoints that will make sure you only have to go back a short amount of time, quickly having the opportunity to try again. You can also get caught by the guards, which will play a short cutscene before again transporting you back in time to the nearest checkpoint. At times the game will surprise you and throw a quick time event your way. In those cases you need to react fast by clicking on the right area on the screen or face another death. Once again these sequences come with an ample amount of checkpoints so they don’t get annoying. There are no hints in TSIOQUE, if you get stuck you will find yourself idly roaming the available areas and randomly clicking on everything until something illicit a response. Sometimes, during the sequences where you have to react fast, the thing you have to click starts to glow after you die a few times though. This can be pretty helpful when you get stuck. If there is one downside to the game, it’s that it is a short ride. Only 2 to 3 hours at most, TSIOQUE isn’t a very long game. You can easily finish it in one sitting, even with all the backtracking involved. This of course only is a problem because it is such an enjoyable game and probably has to do with the before mentioned hand-drawn animation. TSIOQUE is a simple game at the surface, but so much more beneath that. Beautiful hand-drawn animation and perky music combined with the unexpected twist in the story make this game a pleasure to sit through. 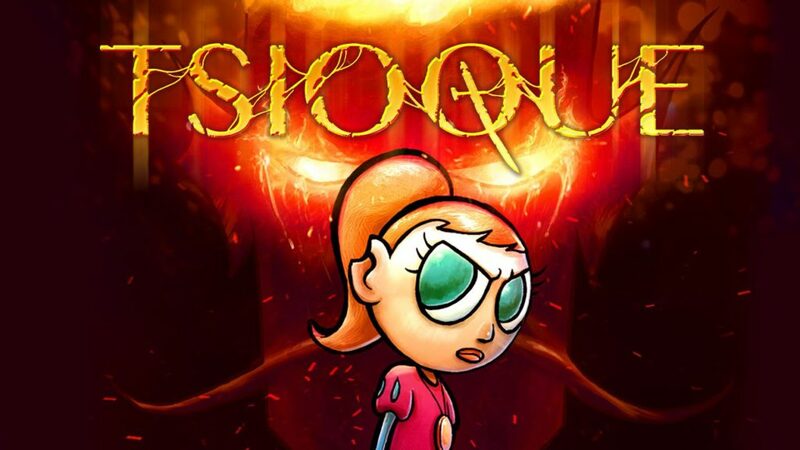 While there may already be plenty of point-and-click adventures out there, TSIOQUE can truly sit among them as one of a kind.